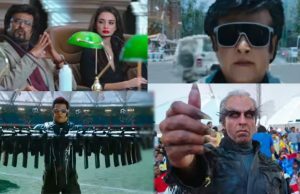 Superstar Rajinikanth’s 2.0 teaser release has been a talk of the town since a very long time. The teaser release was delayed for quite a few reasons and one of them was due to production. 2.0 has been in the production for around three years now. Nevertheless, the much-awaited teaser is finally out in 3D and 2D. Directed by S Shankar, the movie also stars Bollywood star Akshay Kumar in a pivotal role. 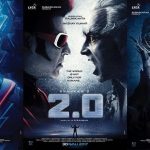 A sequel to the 2010 Rajinikanth blockbuster Enthiran, 2.0 teaser is finally out in Tamil and Hindi. 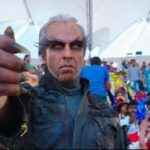 Akshay Kumar will be seen playing Dr Richard, aka Crow Man in the film. 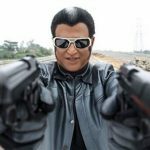 The teaser sees Rajinikanth returning as Chitti-The Robot who has been assigned by its creator Vaseegaran (also Rajinikanth). The visuals look better and bigger like never before. AR Rahman’s music is cheery on the cake. The background score is one of the highlights. We can’t wait to see Akki and Rajinikanth locking horns on the big screen. 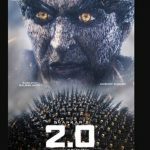 A day before the teaser release, 2.0 teaser leaked online giving makers of the film a rude shock of their life. The pre-VFX version of the teaser was recorded by someone through phone at the birthday bash of Lyca Productions chairman K Subaskaran. The teaser was screened for selective guests but it became victim to an online leak.